Andy Marcus has trained extensively in various healing arts as well as meditation (see Bio) both in the water and on land. While living in Brazil, he developed a number of courses with Integracao Craniossacral working with its founder, Aziza Noguchi. He also taught numerous trainings in Sao Paolo, Brazil as well as at the Spa at Hotel Castao De Santinho in Florianopolis and Hotel Ponto de Luz in Joinapolis SP. Develop your understanding of Biodynamic Craniosacral Aquatica. 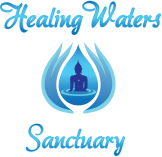 Andy’s Healing Waters Sanctuary offers training for practitioners or those interested in this unique healing modality. Whether you wish to become a practitioner or learn for personal experiences and growth, you are invited to join the trainings. Explore the sensibility and perceptual skills of Biodynamic Craniosacral and Aquatic Therapies while opening to concepts of breath work for healing. The Healing Waters Sanctuary offers four courses to assist and guide you with Biodynamic Craniosacral Aquatica. The Level 1 course includes general skills that allow you to start your work as a healing practitioner or to incorporate with your already existing skills. The advanced level courses move into deeper levels to assist you in further developing the specialized processes to expand your work and to deepen your personal experiences. Each level takes place over five days and is inclusive of both teaching and experiential approaches. The approaches are combined with a final hands-on clinic at the end of each module to evaluate your level of presence and deepen your confidence. Each course is designed to assist you in your discovery and understanding of Biodynamic Craniosacral Aquatica. 1. Healing techniques of water and how they connect to the thoracic ial breath to help with transformation and healing. This includes the quality of carrying the body, decreasing resistance and working with neutral gravity that assists with the connection to our fluid body. 2. Water therapies, including Aqua Floating and Water Dance. This includes learning how to relax while assisting your client to flow both above and under the water. You’ll learn how water therapy compliments several modalities for healing. 3. Water therapy and how it compliments your skills as a practitioner. Delve into the understanding of neutrality as a practitioner when working with the sacredness of water. 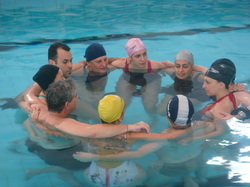 This course includes the practice of neutrality with specific techniques based on trust and letting go while allowing the water to work as the primary healing modality. 4. Movements and techniques to enhance your water therapy skills. 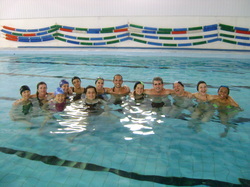 Healing practices taught to students are inclusive of Water Dance, Aquafloating, Watsu and other well-known modalities. You will learn to find and support authentic movement while working with the water to develop trust, synchronization, movement and stillness with the breath and the water. 5. Breath for healing. There will be techniques and meditations presented showing how the breath can be used to support different levels for healing. You will also learn how the connection to the breath adds a tremendous support for developing trust on top and beneath the water both in stillness and motion. 6. Biodynamic Craniosacral perceptions such as neutral, dynamic stillness, health and holding sacred space and presence. Craniosacral and non-craniosacral practitioners will learn more about the use of Biodynamic Craniosacral work and how it can be used in the water. Teachings and experiential explorations will be provided on how to tune into subtle movements of the body. This will include unwinding and movement with health and stillness as well as tapping into the natural pulses and rhythms of the body. If you are already a practitioner, then you can enjoy an expansion into concepts of presence, sensitivity and perceptual skills while working with Biodynamic Craniosacral and Aquatic Therapies. Level 2 and Advanced Levels Coming Soon!